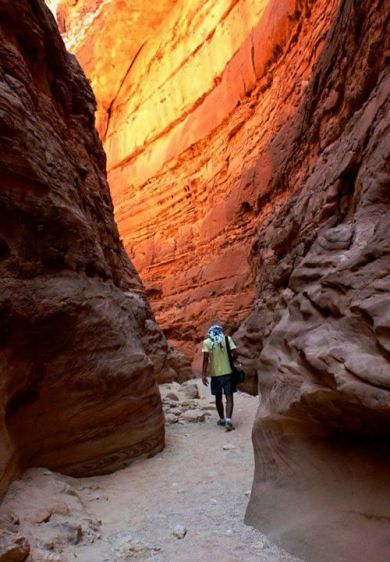 Monuments Sight Seeing Attractions Nuweiba Colored Canyon Safari Human beings have grown too proud of themselves, don’t you think? They’ve developed so many technologies that now they think they are invincible. 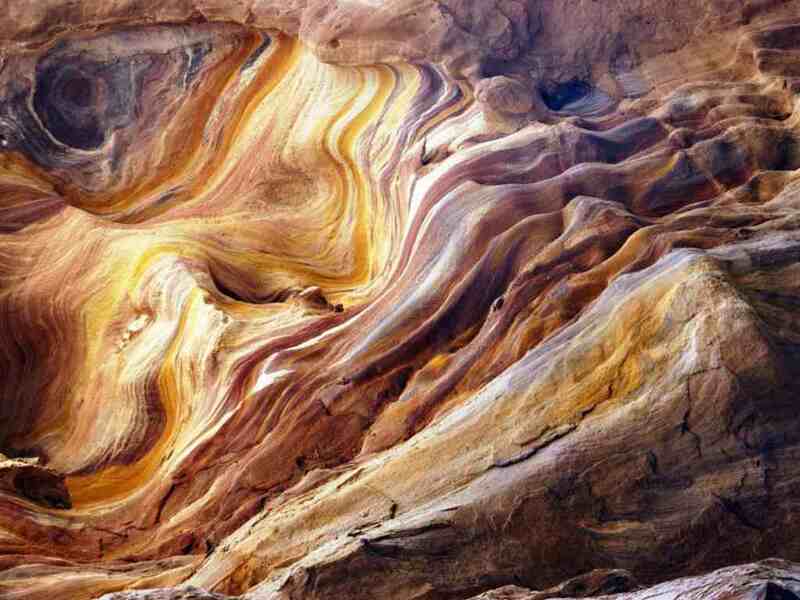 is its beautiful rocky formations that run parallel to the Red Sea. Throughout the second half of our road trip to Sinai, I was amazed by the magnitude of mountains that surrounded the road, but no matter how grand they were, the master of all rocky formations that took my breath away, literally, was the ‘Colored Canyon’ sightseeing tour in Nuweiba. Off the beaten track Safari we took, and deep into a lot of desert dryness, lied the wide spread Colored Canyon. I have to admit, once we reached the desired spot, I had a childish aspiration I’d step into a colour palette. If you share my childish intuition, you might want to slow it down! Although I didn’t find my color splashes, I sure was taken aback by the grand majesty of God’s creation. The scenery was…. so strong, so lofty, so empowering, but shocking at how it makes you feel small and weak. For the next -give or take- hour and a half, I was put to one of the toughest tests I’ve had to endure; I’d say it was more a test of will than a physical test. But it was sure worth it! Through the tight and wide cracked paths of the Canyon were wonders to see; the greenest of plants that grew in between the rocks, the funniest of challenges such as having to slip through holes and jumping down your way, but most of all… I got to find why it’s called the ‘colored’ canyon. 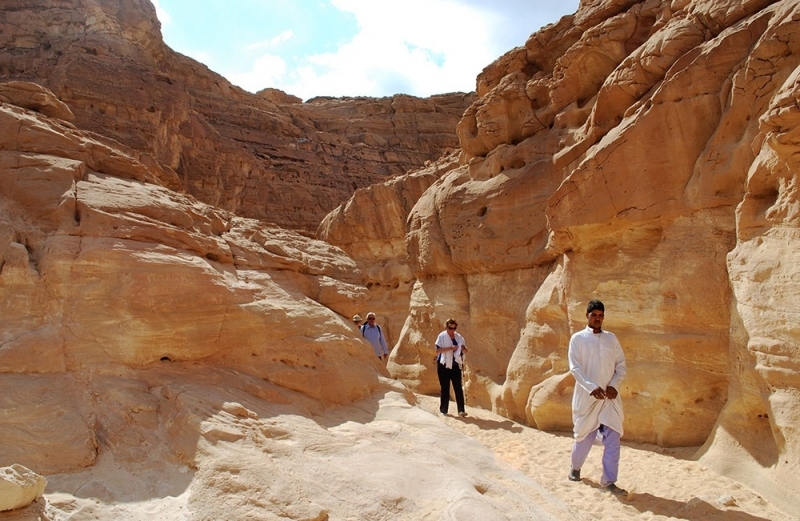 Apart from the beautiful shades of brown that top the yellow sands, and embrace the miraculous greens, are the colors that run through the rocks, some of them even forming shapes like a face or a Pharaonic eye. And that’s why I didn’t see the colours from above, it only reveals itself to the worthy who ventures into the bosom of the Canyon. By the end of tour route, despite how tired and thirsty I was, and despite the fact that the journey’s finale had to go up a steep track, jogging my way up was such an amazing feeling that the primary obstacles we usually place before ourselves are no more that mental obstacles. ‘What doesn’t kill you makes you stronger’ and I know I came out of this experience a lot stronger, and more confident in the distance I can go.